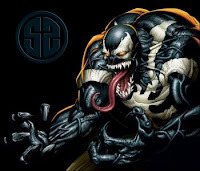 SCI FI Wire got a chance to talk to Zombieland co-writer Paul Wernick about the script for 'Spider-Man' spin-off Venom that he wrote with Rhett Reese. 'We've written two drafts of Venom, and the studio has it, and they're pushing forward in whatever ways they push forward,' Wernick said. He was tight-lipped about whether there was a relationship between Spider-Man 4 and the Venom project.